When IJI purchased General Electric in early 2006, most people thought it was to add the NBC and Universal holdings to his already vast media empire. It wasn’t until a month later, when P.F. 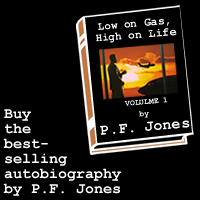 Jones resold G.E., that everyone realized he’d done it solely for access to the their research and development department. With G.E.’s research into tachyon acceleration and anti-matter conversion patents, Jones had the world’s top scientist create the first honest-to-goodness time machine. 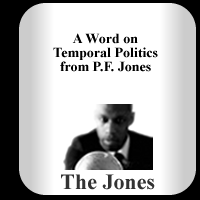 Once Jones found the right reporter who was willing to change his name for steady work, he had Chrone Osphere, the world’s first time-traveling news correspondent. Because you deserve first-hand accounts of historical events with a 21st century bias.